Nearly 2,000 years ago, at a time when Egypt was under the control of the Roman Empire, a young woman with an elaborate hairstyle was laid to rest only yards away from a king's pyramid, researchers report. She was 5 feet 2 inches in height, around age 20 when she died, and was buried in a decorated coffin whose face is gilded with gold. A nearby pyramid, at a site called Hawara, was built about 2 millennia before her lifetime. The location of her burial is known from archival notes. 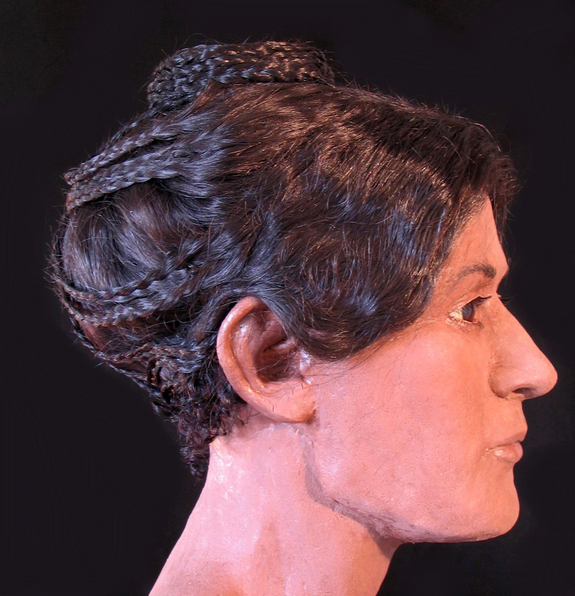 High-resolution CT scans reveal that, before she was buried, her hair was dressed in an elaborate hairstyle. "The mummy's hair is readily appreciable, with longer strands at the middle of the scalp drawn back into twists or plaits that were then wound into a tutulus, or chignon at the vertex (crown) of the head," writes a research team in a paper published recently in the journal RSNA RadioGraphics. They note that it was a popular hairstyle at the time, which may have been inspired by a Roman empress, Faustina I, who lived in the second century. Today, thanks to research and reconstruction work that includes high-resolution CT scans, anthropological analysis, 3D printing and facial reconstruction drawing, this woman, along with two other mummies, are being brought back to life. Their three-dimensional faces and hair, carefully reconstructed by professional forensic artist Victoria Lywood, of John Abbott College, are set to be revealed tomorrow (Jan. 25) at the Redpath Museum at McGill University in Montreal, Canada. 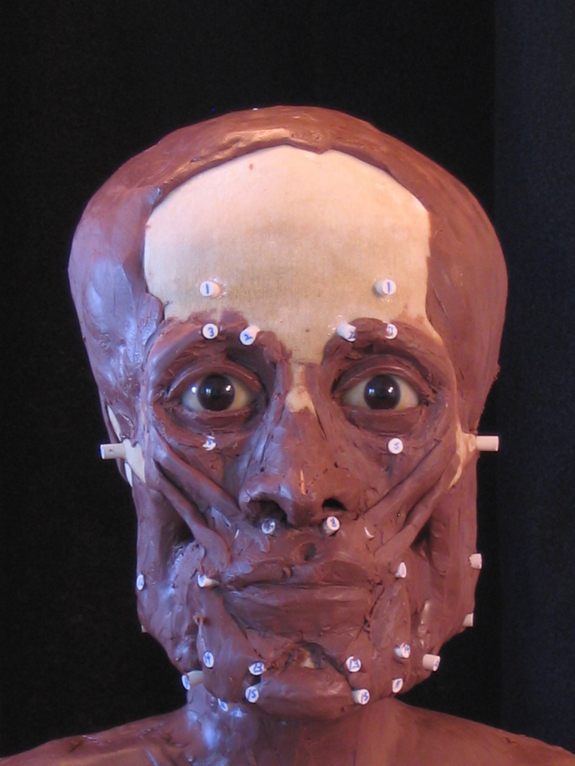 In pictures sent to LiveScience the reconstructions appear vividly real in every aspect, from the tone of their muscles to the color and style of their hair. It looks like they could be people living today. "They are three human Egyptian mummies that have been trapped in the manner they held when laid to rest nearly 2,000 years ago. And now we can reveal what they might have looked like," the team writes in a press release. All three mummies were donated to the Redpath Museum in the 19th century. While two scientific papers have recently been published on them, and their reconstructed faces are set to be unveiled, there are still plenty of mysteries for Egyptologists to tackle. For instance, when researchers scanned the woman they found three puncture marks, each about an eighth of an inch (3-4 millimeters) across, on the right side of her abdominal wall, wounds that may have killed her, leading to the question — how did she get them? "These wounds were believed to have occurred either before or shortly after death," the researchers write in their RadioGraphics paper, "although these CT findings are far from conclusive, it is possible that the punctures are related to the cause of death."